*Use the form at the bottom of this page to register! Who Should Attend: Anyone interested in learning to optimize their vitality by taking responsibility for their own self-care, then this workshop is for you. No experience or previous knowledge necessary. Once you begin this journey you will never turn back. It is an expansive, fun, challenging yet rewarding process. 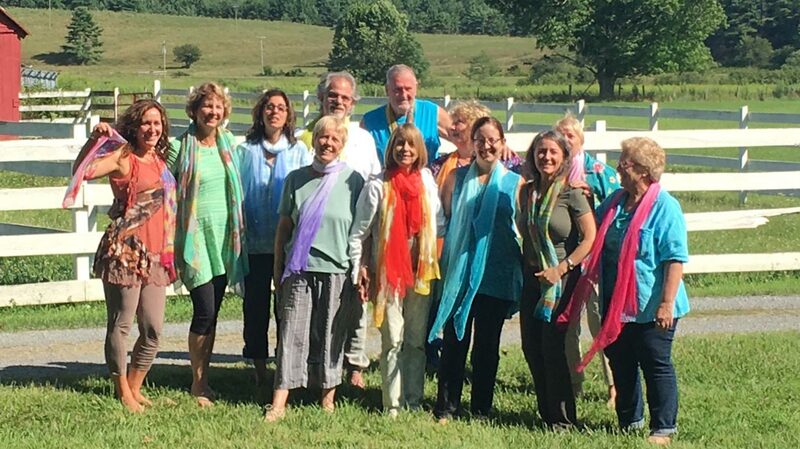 About the Instructor and the Energy Work: To teach this Workshop, Dr. Donna Panucci became a certified Eden Energy Medicine practitioner traveling to Cleveland and Phoenix over a period or four years to train with Donna Eden’s organization, Innersource, which oversees teachers, courses and products offered around the world. The classes are based on Donna Eden’s award-winning book, Energy Medicine, now translated into 20 languages and a US Book News “Book of the Year” in the self-help category. Eden has taught tens of thousands of people how to manage their own energy systems in workshops throughout the world. These techniques have been shown to increase vitality and health by working with the body’s subtle energies. Consistent practice can help to relieve pain, sharpen your mind, relieve stress and anxiety, strengthen the immune system, improve digestion, relieve allergies, enhance well-being, manage weight, and alleviate insomnia. Donna is an inspirational and passionate instructor that brings energy, insights and joy to the workshop! Neurolymphatic Reflex Points (NL). NL points have no pump to move toxins from our body, so we will learn where they are located and how to move these toxins. Introduction to Triple Warmer & Spleen – these are a unique pair of meridians that together govern our stress response and immune response. Quickie Energy Balancing & Brazilian Toe demonstration and practice- these techniques balance all energetic systems of the body. Handouts will be provided for all activities covered in the workshop. Attendees are encouraged to share with their friends and families! Program Dates and Time: Join us for dinner on Friday, July 19th at 6 pm. There will be a Friday evening introduction to Energy Medicine. The workshop will continue on Saturday, beginning at 9:00 am and ending at 5:00 pm. We will meet on Sunday from 9-1:00 pm to complete our program. An optional Saturday evening table workshop will be offered. Cost includes two nights lodging based on double occupancy, entire weekend workshop PLUS 6 meals (Friday/Saturday nights dinner, Saturday/Sunday morning breakfast, Saturday/Sunday lunch. Please contact Mary at 304-549-3876 or email info@bluerayofhope.com for pricing to make a reservation or register using the form below.